Here’s the press release, you may think it to be the usual over the top hyperbol, but hey, believe it, they are very much the realest or real deals…. 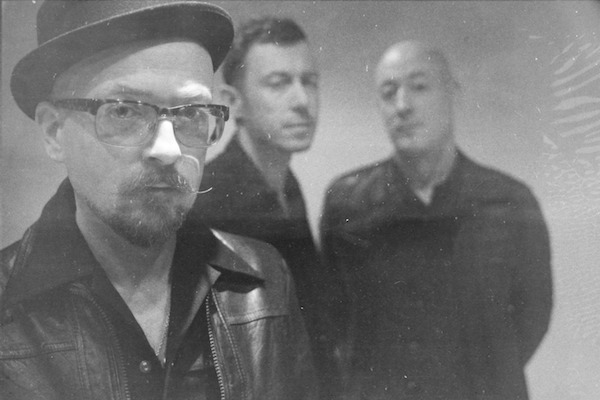 “London trio Miraculous Mule make rock ‘n’ roll infused spirituals and dangerous blues. These boys have been cutting their teeth and earned their stripes over the years with a devout immersion in gothic American roots music, before that particular bandwagon arrived in town again, and again after it left. Brothers Michael J Sheehy and Pat McCarthy were born into a rock’n’roll- home, with Elvis and Tammy as surrogate parents. Michael J Sheehy has fronted Dream City Film Club, his self-titled solo work and the Hired Mourners and Saint Silas Intercession, with his brother Pat at his side for the most part. Witnesses to these outings of theirs will know that the soul and the confrontation they sweated was, and is, real. They can play and they can sing. The edge that they skirt likely comes in part from their school of hard knocks, central London council-estate , Irish Catholic upbringing. Michael, Pat and Miraculous Mule’s third member and old friend Ian Burns were raised in the same estate (Saint Silas in Kentish Town). 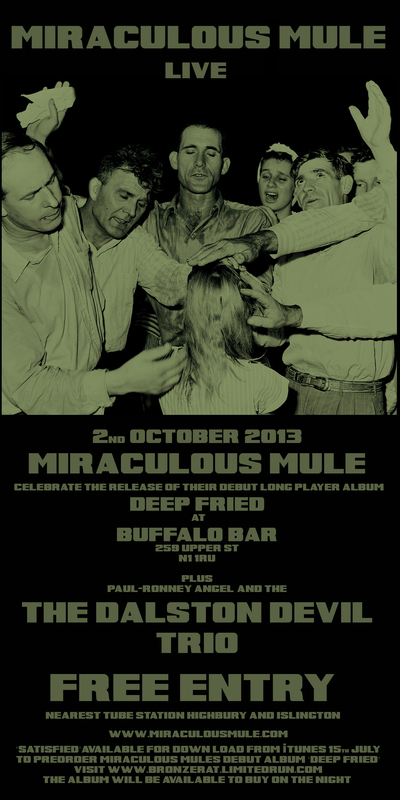 Live and on record, Miraculous Mule do indeed kick like their namesake. Mixing up old spirituals, blues and work songs. The real deal, testament to which is the inclusion of their first single Satisfied on Blues magazine’s current covermount CD”. “Silflay” for Guitar and String Quartet from Rael Jones’s Chamber Music Album “Mandrake”. Performed by The Mandrake Quartet, with Rael Jones on Guitar. Recorded at Sphere Studios, London, March 2013. Irish born, East London based artist Conor Harrington is one of the most acclaimed artists of today. Fusing a mixture of historical and modern techniques Conor’s large scale paintings are adored across the globe. Originally from Cork, Conor’s early work was heavily influenced by graffiti and taking to the streets but as time has moved on he has developed and matured to one of the most respected artists and painters of our time with shows taken place in galleries such as Lazarides and Stolen Space in London stretching as far as to galleries in LA, New York and South Korea. Spraying Bricks had been fortunate enough to have joined Conor in East Dulwich where we caught up with him painting this large mural prior to the Dulwich Art Fair. The mural depicts the scene of two men of power on opposing sides ‘squaring up’ as if ready to fight. The mural took Conor two days to complete and is still standing to see in the flesh. More of this kind of thing later, or tomorrow, sometime next week, month, maybe, who knows? ORGAN THING OF THE DAY – MIRACULOUS MULE about to kick off….